Please review our Privacy Notice describing the personal data we may collect and how we process it. 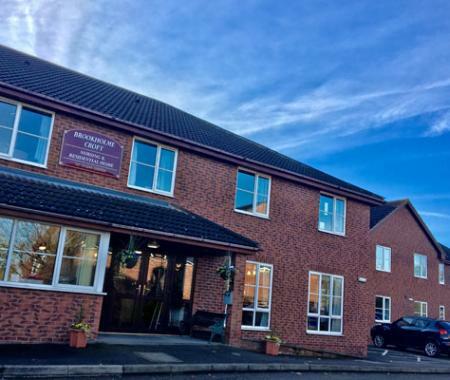 Our aim at Brookholme Croft is to provide a comfortable and friendly home where our residents can benefit from a safe and pleasant family environment, secure in the knowledge that they are being cared for to the highest standards by professional and dedicated staff. Long term care, short term care and day-care are available. We try to enhance our residents' quality of life, by providing a home in which they are as independent as possible and ensuring that they are treated with dignity and respect, whilst honouring their privacy at all times. Relatives of our residents are welcomed and encouraged to visit as often as they are able to. Please contact us for more information or visit Brookholme Croft to see our outstanding home and level of care and services for yourself.